SAN FRANCISCO, Sept. 26, 2018 /PRNewswire/ -- energyOrbit and Delaware Sustainable Energy Utility (DESEU), have released results from their first-ever statewide tracking system for managing and reporting its energy efficiency and renewable initiatives. 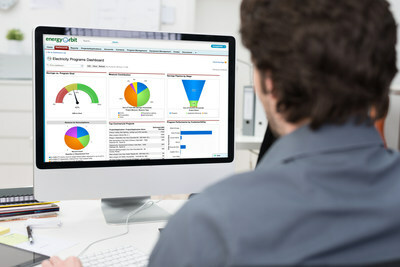 The ability to operate a singular, cloud-enabled management tool gave DESEU program administrators from Delaware Sustainable Energy Utility and Delaware Department of Natural Resources and Environmental Control (DNREC) the confidence to expand existing energy efficiency and renewable energy programs and to launch new programs. Most notably, their Home Performance with Energy Star program resulted in an increase of $2.4M in incentives and $10.34M in lifetime energy savings. "Our partnership with energyOrbit saved us from the struggles of old and complex Excel spreadsheets, and allowed us to tap into the power of the commonly understood and respected platform powered on Salesforce," said Tony DePrima, Executive Director of DESEU. "We hope that in time, this robust system will be adopted by all of the energy efficiency program administrators in the State of Delaware." By utilizing the energyOrbit platform, DESEU is able to capture and organize data from various energy efficiency programs for simplified sharing, and collaboration. energyOrbit also allows Energize Delaware program implementers to manage and submit performance data through a simple to use, web-based interface. DESEU is a unique non-profit offering a one-stop resource to help residents and businesses save money through clean energy and efficiency. The DESEU was created in 2007 by the State of Delaware to foster a sustainable energy future for the State. Its Energize Delaware energy efficiency and renewable energy programs are focused on helping Delawareans save money, create jobs and improve the environment. DESEU collaborates with a variety of industry partners such as the University of Delaware and the Delaware Division of Energy and Climate. For the past year and six months, these groups have utilized energyOrbit's cloud-based platform to standardize and streamline the management, tracking and reporting for a multitude of statewide renewable and energy efficiency programs. These programs include low-interest loans for energy efficiency, customer-sited renewables, energy credit procurement and more. By engaging energyOrbit, DESEU is now able to seamlessly send reports, as well as effectively share data and communicate with their industry partners. "Our focus is supporting IOUs, utilities, third-party implementers and other DSM organizations to evolve their energy efficiency operations into collaborative business solutions that promote ease of use, visibility, and efficiency," said Udi Merhav, CEO of energyOrbit. "DESEU is working to better improve the lives of Delaware residents, and this is reflected in their hard work and faith in the energyOrbit solution. We are thrilled to have played such a critical role in increasing the State of Delaware incentive and saving goals, and we look forward to actively ensure their continued success." As of 2016, energyOrbit has helped utilities and third-party implementers collectively manage more than 13.245 TWh of electricity savings. Additionally, 5,617 MW of peak demand has been reduced by efficiency measures tracked by energyOrbit. More than $1.6 billion in incentive dollars managed and prepared for payment. For more information on energyOrbit, please visit www.energyorbit.com and follow up on Twitter (@energyOrbit) and on LinkedIn (linkedin.com/company/energyorbit-formerly-crmorbit-).